Bhopal: In the first phase of construction period construction work of Bhopal Metro from AIIMS to Subhas Nagar was expected to start in month of December, which is likely not to be seen. There is number of hurdles which Madhya Pradesh Metro Rail Co Limited (MPMRCL) facing in the construction path. There are some construction track lands which also belong to Municipal bodies and other development authority. Then according to this 5 months need to allot for civil work. The five civil construction companies which are handling this projects says that if we will try to complete first phase construction work in such short period of time could face lots of challenges. According to Madhya Pradesh Rail Corporation Managing Director and his secretary meetings are being organized where discussion to resolve such burning issue is going on and we are expecting for fruitful results, official source said. There is need to construct three station near to M.P nagar zone -2. These three station are M.P Nagar, Sargam Cinema, Habibganj station. 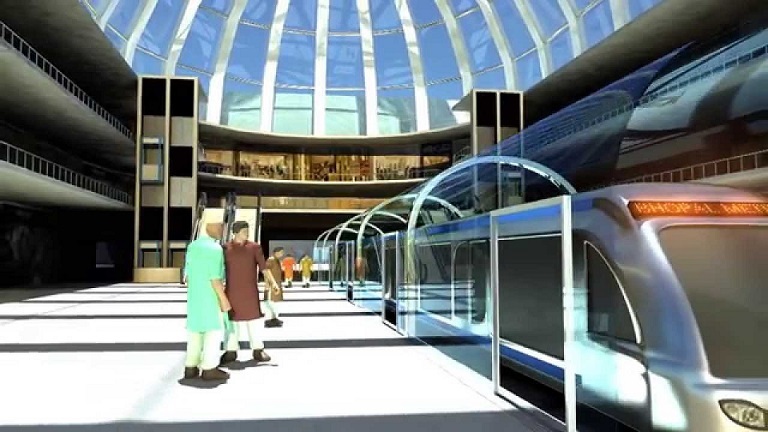 Madhya Pradesh Rail Corporation has demanded land to build this station from state government. The first elevator column needs to be constructed from Habibganj to D.B Mall, which need to shift to Pragati Petrol Pump service road.